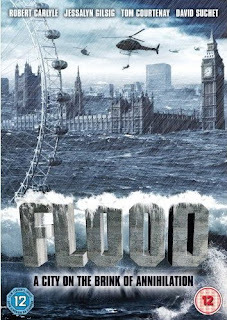 Flood is a disaster film set in London and Scotland. Estranged meteorologoist father Leonard (Courtnay) and Marine Engineer son (Carlyle) are caught up in a weather related disaster as spring tides meet a freak North Sea Superstorm, flooding London. Brought together at the Thames Barrier, they are flung apart again by the elements as Rob leaps into a swollen Thames with his ex wife. These two meet clumps of survivors and plucky London Transport Engineers as they journey upstream to Central London losing comrades to the waters as they go. 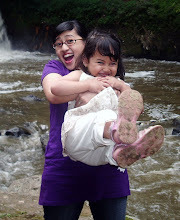 Dad meanwhile is airlifted to the secret Government HQ to help save the capital from the flooding. With 200,000 dead and as many displaced in emergency refugee camps in Greenwich park only a bold plan to repel the rising waters will save Kensington and Battersea. Father and son unite again for the time pressured final action event back at the barrier with the added threat of a Dambuster's like air strike.